These are sometimes called 3S verbs. 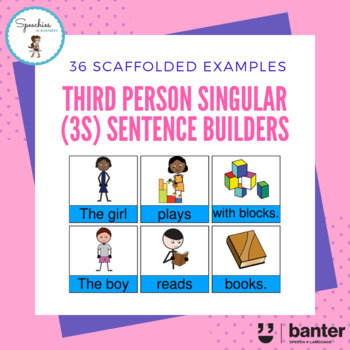 As the examples illustrate, we usually add an “s" to the end of the verb whenever speaking about what a third person is doing in present tense. 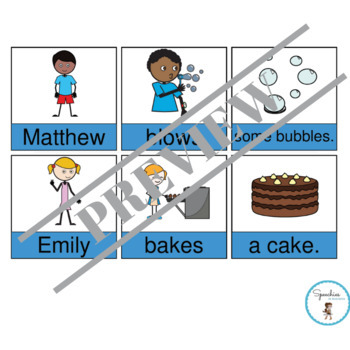 Some people who speak English as a second language and/or developmental language disorders needs focused practice to learn and to use this grammatical form. 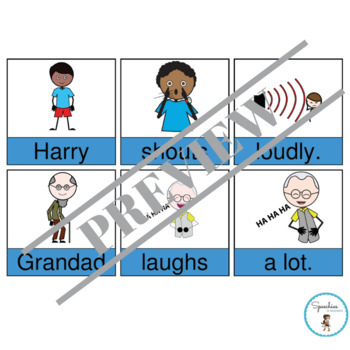 This pack is designed to help, with both pictures and words making it suitable for children and adults.